Categories: Cleaning & Maintenance, Engineering, Transport & Grounds Maintenance. Swells with water and seals split or leaking containers. 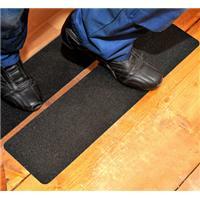 : Also used for locating and sealing flat roofs. Quick fix. Scatter granules near to leak. Apply water. Granules will natural follow water flow. Will expand and fill all gaps and holes, giving a temporary seal. Caution: Product becomes very slippery! Caution must be taken when applying. Other quantities may be available. Please contact us if you have any queries. 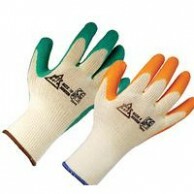 Available in Green or Orange Latex dipped cotton knitted gloves ideal for most sure handling tasks. Fine Grip, lightweight all purpose Glove. Conforms to EN 388 Intermediate Design EN388 Test Result: 2243 If you have any queries please contact us. Southern Supplies has well over 20 years experience in the Chemical Cleaning Industry. 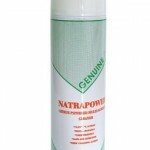 Initially offering specialised maintenance chemicals, which has grown over the years to offering a wide range of products and services to meet all Facility Maintenance and Cleaning needs. We supply the NHS. Local authorities,as well as servicing both large and small concerns, our service is always as helpful and impartial as possible. Our reputation has grown to be accredited as one of the best.